Danukalova, G., Eremeev, A., 2006. Quaternary loess-like deposits of the Southern Urals. Quaternary International, V. 152-153, p. 31-36. Danukalova, G., Yakovlev, A., 2006. A review of biostratigraphical investigations of palaeolithic localities in the Southern Urals region. Quaternary International, V. 149, Iss. 1, 2006, P. 37-43. Yakovlev A., Danukalova G., Kosintcev P., Alimbekova L. & Morozova (Osipova) E. Biostratigraphy of the Late Palaeolithic site of “Bajslan-Tash cave” (the Southern Urals). Quaternary International, V. 149, Iss. 1, P. 115-121. Danukalova G.A., Yakovlev A.G., Morozova (Osipova) E.M., Alimbekova L.I. Biostratigraphy of the Late Middle Pleistocene (Middle Neopleistocene) of the Southern Urals region. Quaternary International, V. 160, 2007, P. 17-29. Danukalova, G., Yakovlev, A., Alimbekova, L., Yakovleva, T., Morozova (Osipova), E., Eremeev, A., Kosintsev, P., 2008. Biostratigraphy of the Upper Pleistocene (Upper Neopleistocene)–Holocene deposits of the Lemeza River valley of the Southern Urals region (Russia). Quaternary International, V. 190, Iss. 1, P. 38-57. Danukalova, G., Yakovlev, A., Kosintcev, P., Eremeev, A., Agadjanjan, A., Alimbekova, L. & Morozova (Osipova), E. , 2009. Quaternary fauna and flora of the Southern Urals region (Bashkortostan Republic). Quaternary International, V. 201, p. 13-24. Puchkov, V., Danukalova, G., 2009. The Late Pliocene and Pleistocene history of The Southern Urals Region. Quaternary International, V. 201, p. 4-12. Danukalova, G.A., 2010. The Refined Quaternary Stratigraphic Scale of the Cisuralian Region and Main Events in the South Urals. 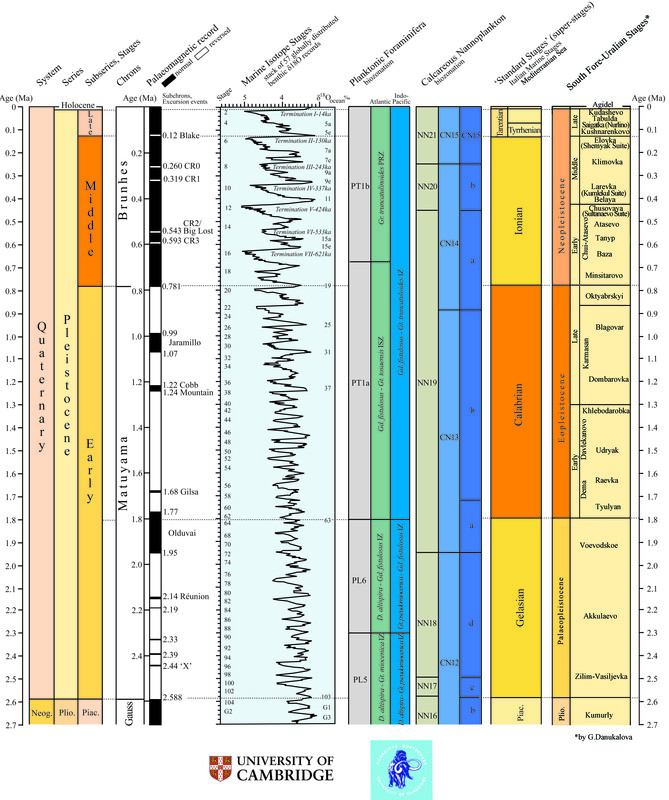 Stratigraphy and Geological Correlation, Vol. 18, No. 3, pp. 331–348. Danukalova, G., Yakovlev, A., Osipova, E., Yakovleva, T., Kosintsev, P., 2011. Biostratigraphy of the Upper Pleistocene (Upper Neopleistocene) – Holocene deposits of the latitude current of the Belaya river valley of the Southern Urals region (Russia). Quaternary International, v. 231, p. 28-43. Danukalova, G.A., 2012. The Regional Stratigraphic Scheme of the Miocene Sediments of the Fore-Urals and the Major Events in the Southern Ural Region. Stratigraphy and Geological Correlation, Vol. 20, No. 5, pp. 478–496.